These contests are now open to the public. See the new rules, awards, and fee schedule below! 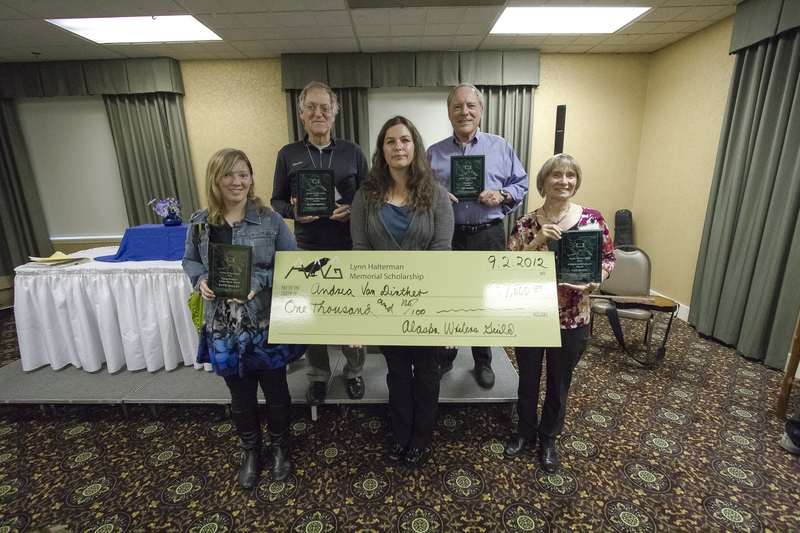 The Alaska Writers Guild is pleased to announce a NEW Quarterly Writing Contest, open to AWG Members and the public. These awards, described below, will be announced and presented at the monthly meeting or event following the quarterly contest deadline. All entrants will receive a copy of their scoresheet and judge's feedback for each submission. - AWG Members: First entry is FREE, $10 for each additional entry (up to three (3) total entries per contest). 1. REGISTER for the contest. Click your selection below to register for the contest you wish to submit for. You may enter up to three (3) entries per quarterly contest, noting the costs per entry above. You must register for each entry even if you are a member. 2. Format your contest submission(s) as a .doc, .docx, or PDF document. Use Times New Roman type, 12 point font, double-spaced, with 1" margins. 3. In the header of your first page, note the title, genre, and word count. In the header of each subsequent page, note the title and page number. DO NOT include your name or any other personal information in the header or body of your submission. 4. All entries must be no longer than five pages, double-spaced. Your submission may either be a complete short story or the beginning of a longer work. If it is the beginning of a longer work, please include "excerpt" in the heading and/or as part of the title. 5. Fiction or Nonfiction/Memoir: If you wish, you may also note the sub-genre of your entry alongside your genre, such as "Nonfiction/Historical," or "Fiction/Romance." 5. Children's Literature can be the text for a picture book, chapter book, middle grade, or young adult manuscript. Alongside your genre on the first page, please note which sub-genre of children's literature your submission fits, such as "Children's Literature/Picture Book." 6. Poetry: ALL forms of Poetry are accepted, and must not be longer than five pages, following the format guidelines noted above. 7. Entries must be entirely the work of the entrant and not previously published. 8. Do not include art, any picture inserts, or attach any other embellishment files. 10. Forward your registration email with your entry document(s) as an attachment to: AlaskaWritersGuild.AWG@gmail.com. Change the subject of the email to "AWG QUARTERLY WRITING CONTEST ENTRY". In the body of your email, list the TITLE(S) of the entry/entries you are submitting. - Entries containing any reference (or hint) to the author's identity within the submitted story. - Obscene, offensive, defamatory, or libelous material. - Late entries or entries not meeting the above criteria. All authors will receive an email as soon as possible after the scores have been tallied that includes their score sheets and any comments from the judges.